SYNOPSIS - When Auraya was chosen to become a priestess, she could never have believed that a mere ten years later she would be one of the White, the gods' most powerful servants. Sadly, Auraya has little time to adapt to the exceptional powers gifted her by the gods. Mysterious black-clad sorcerers from the south plague the land, and rumours reach the White of an army being raised. Auraya and her new colleagues wok tirelessly to seal alliances and unite the northern continent under their banner, but time is running out. War comes to the land of the White, and unless Auraya can master her abilities, even the favour of the gods may not be enough to save them..
EXCERPT - Emerahl smiled and ran her hands over her body. But of course it had. She had never botched the change. Mirar had told her long ago that her ability to change her body was an innate Gift. He had a theory that all Wilds had a gift that came naturally. Like musical ability came to those with true talent. Hers was the ability to change her physical age. Opening her eyes, she saw only darkness. FL Speak - Riding after the success of 'the Black Magician' trilogy, comes a novel that pretty much has everything that her first books missed. 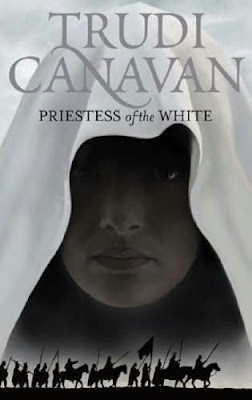 In the Priestess of the White, Canavan created the character of Auraya who plays the lead role in the plot. 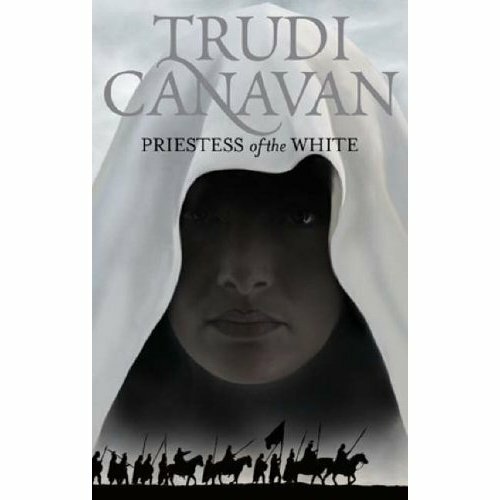 Auraya longs to be a Priestess and after ten years of being one, she becomes one of the White. They are the servants of the Gods', the most feared and the most respected. Along her trials she learns and accumulates new abilites and powers which helps the White when the war comes. Auraya starts off with diplomatic missions but it is soon realised that her powers are much more stronger than anticipated and the other Five include her in war strategies too. The Dreamweavers are a peaceful group of people who detest violence and are exceptional healers but nevertheless considered heathens since they do not believe in the Circlian gods. One of the Dreamweavers has a passionate romance with Auraya, which further complicates her responsibilities and desires. The Pentadrians, on the other hand, believe that the Circlians follow false Gods and prepares to invade the northern territory. As Auraya and the rest of the White, prepare for battle, the Wilds, who are a free people with knowledge of sorcery make their own plans to be free of the Circlians. Pretty straight-forward plot with a few twists and turns. Auraya's romance is one thing to look out for. This book would belong to the coming-of-age fantasy subgenre. That means no detailed paragraphs of incidents, places etc. More emphasis is given on conversations. The book has similarities with her previous series. I will let the reader look for it. Read it, if you need a fresh start. If you are new to fantasy world, i suggest you read it before you jump to LOTR. Because once you read LOTR, nothing would feel the same again. My Rating - 3 out of 5. Dissapointing at times with patches of brilliance! This was the second one I read of the author ..
@nimue I would love it if you do the review of the first series. I haven't read that one. I would do this.